Dr. Sarah Nguyen holds a degree as a Bachelor of Medicine, Bachelor of Surgery (MBBS) and is a Fellow of the Royal Australasian College of Physicians (FRACP). She works as a General Paediatrician and completed her undergraduate training at the University of Melbourne. Her Paediatric training was conducted at the Royal Children’s Hospital as well as other Melbourne hospitals, Launceston and Ballarat. 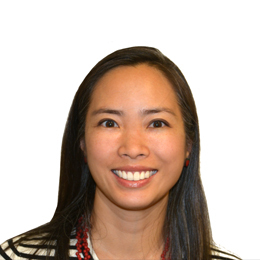 Dr. Nguyen has a special interest in autism spectrum disorder, and developmental and behavioural paediatrics.